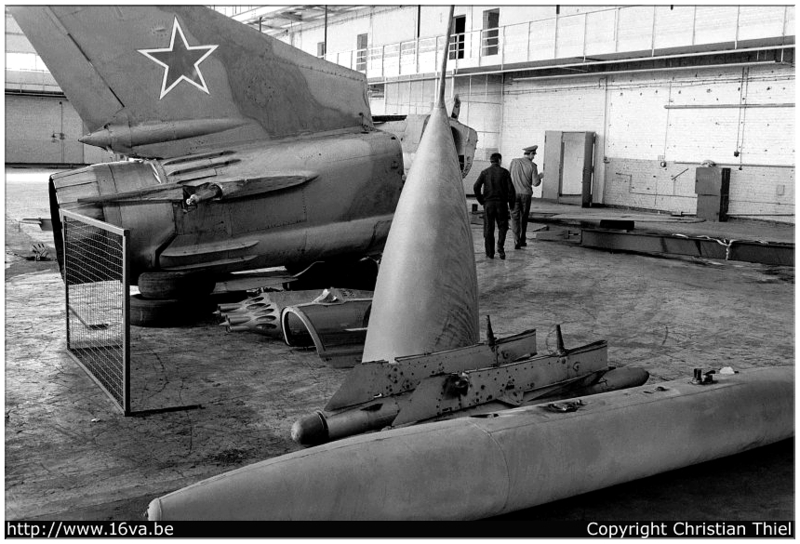 This UTI MiG-15 (Uchebno-Trenirovochnyy Istrebitel’ – fighter trainer) was located in the center of the Finow airfield garrison. It would have been withdrawn from service in 1981. The military personnel posing in front of the aircraft were from the 41.OVE BU, a unit based at Finow until 1990 and then relocated at Werneuchen. The UTI MiG-15 shown in the next picture was the same aircraft in a new color scheme.